Subject-wise periods allotment for all Primary, Upper Primary and High School. Period-wise allotment of time for all Primary, Upper Primary and High School. GO.3 New School Timings for all Primary, Upper Primary and High School. Subject-wise periods and Period-wise time allotment for all Primary, Upper Primary and High School. 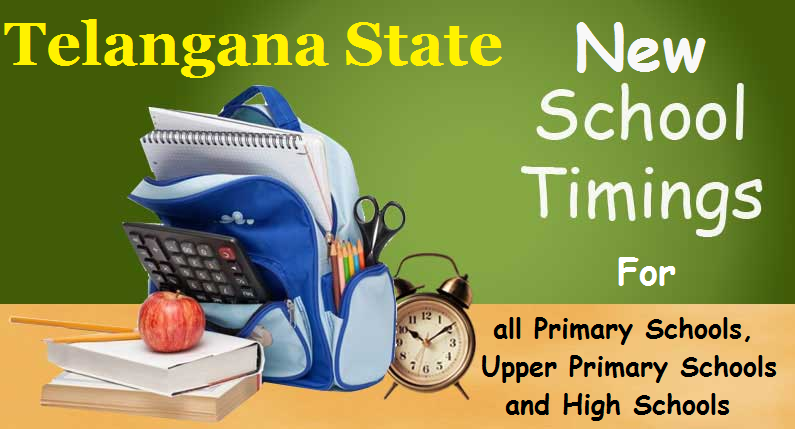 As per GO.Ms.No.3, Dated: 27-08-2014, Government has accorded permission to the Commissioner & Director of School Education, Telangana for implementation of below revised school timings and subject wise allotment of periods in all the schools under the management of Government, Municipal, Local bodies, Welfare Departments, Private Aided and Recognised as a part of implementation of RTE Act, 2009. The teaching learning process should be organized as per the below schedule. 8th Period 03.20 P.M to 04.00 P.